Exporter of a wide range of products which include 2 port mini solenoid valve, 2 way solenoid valve, 3 port solenoid valve, 4 way solenoid valve, abrasive metering valves and ac valves. Jayant Impex can offer 2 Port Mini Solenoid Valve, Solenoid Valves, Mine Solenoid Valve, Closed Solenoid valves, open solenoid valves, Direct Acting Valves, Diaphragm Operated valve, Internal / External Pilot Operated valve, 2 Port Mini Solenoid Valve (Closed Open Internal External). Pressure range : up to 400 bar. Operated temperature between 0 °C to 80 °C. Orifice – 0.5mm to 80mm thus offering a wide range of flow rates. From Jayant Impex Pvt Ltd, India, Maharashtra, Khopoli, Mumbai client can avail smaller quantities of 2 Port Mini Solenoid Valve, Solenoid Valves, Mine Solenoid Valve, Closed Solenoid valves, open solenoid valves, Direct Acting Valves, Diaphragm Operated valve, Internal / External Pilot Operated valve online at premium cost by sending us an email. 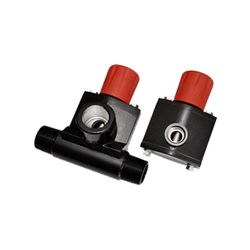 If any requirements for 2 Port Mini Solenoid Valve, Solenoid Valves, Mine Solenoid Valve, Closed Solenoid valves, open solenoid valves, Direct Acting Valves, Diaphragm Operated valve, Internal / External Pilot Operated valve kindly do contact us. Jayant Impex can offer 2 Way Solenoid Valve, Solenoid Valves, Mini 2 Way Solenoid Valve, Closed Solenoid valves, open solenoid valves, Direct Acting Valves, Diaphragm Operated valve, Internal / External Pilot Operated valve, 2 Way Solenoid Valve (Closed Open Internal External). From Jayant Impex Pvt Ltd, India, Maharashtra, Khopoli, Mumbai client can avail smaller quantities of 2 Way Solenoid Valve, Solenoid Valves, Mini 2 Way Solenoid Valve, Closed Solenoid valves, open solenoid valves, Direct Acting Valves, Diaphragm Operated valve, Internal / External Pilot Operated valve, 2 Way Solenoid Valve (Closed Open Internal External) online at premium cost by sending us an email. 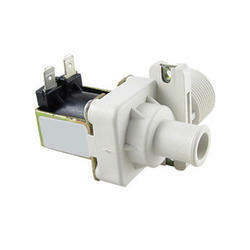 If any requirements for 2 Way Solenoid Valve, Solenoid Valves, Mini 2 Way Solenoid Valve, Closed Solenoid valves, open solenoid valves, Direct Acting Valves, Diaphragm Operated valve, Internal / External Pilot Operated valve, 2 Way Solenoid Valve (Closed Open Internal External) kindly do contact us. Jayant Impex can offer 3 Port Solenoid Valve, Solenoid Valves, Direct Acting, Internal / External Pilot Operated, 3 Port Valves, Port Solenoid Valve, 3 Port Solenoid Valves. 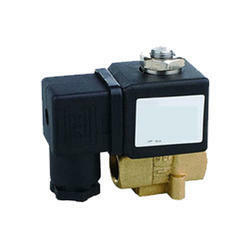 From Jayant Impex Pvt Ltd, India, Maharashtra, Khopoli, Mumbai client can avail smaller quantities of 3 Port Solenoid Valve, Solenoid Valves, Direct Acting, Internal / External Pilot Operated, 3 Port Valves, Port Solenoid Valve, 3 Port Solenoid Valves online at premium cost by sending us an email. If any requirements for 3 Port Solenoid Valve, Solenoid Valves, Direct Acting, Internal / External Pilot Operated, 3 Port Valves, Port Solenoid Valve, 3 Port Solenoid Valves kindly do contact us. Jayant Impex can offer 4 Way Solenoid Valve, Solenoid Valves, 4-Way, 5 Port 2-Position Solenoid Operated Valves, 4-Way, 5 Port 3-Position Solenoid Operated Valves, Single Solenoid Valve, Double Solenoid Valve, Latching Solenoid Valves, Closed Center 4-Way, Exhaust Center 4-Way Valves. 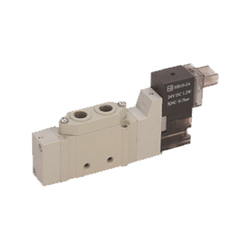 Type: FP 400 / 4 Way 5 Port 2 Position Single SOLENOID VALVE Direction Control for Double Acting Cylinder. Medium: Air, Water, Gas, Oil. Port Size: 1.5 mm, 2 mm. Opt. Pressure: 0.8 to 10 Kg./Cm2. From Jayant Impex Pvt Ltd, India, Maharashtra, Khopoli, Mumbai client can avail smaller quantities of 4 Way Solenoid Valve, Solenoid Valves, 4-Way, 5 Port 2-Position Solenoid Operated Valves, 4-Way, 5 Port 3-Position Solenoid Operated Valves, Single Solenoid Valve, Double Solenoid Valve, Latching Solenoid Valves, Closed Center 4-Way, Exhaust Center 4-Way Valves online at premium cost by sending us an email. If any requirements for 4 Way Solenoid Valve, Solenoid Valves, 4-Way, 5 Port 2-Position Solenoid Operated Valves, 4-Way, 5 Port 3-Position Solenoid Operated Valves, Single Solenoid Valve, Double Solenoid Valve, Latching Solenoid Valves, Closed Center 4-Way, Exhaust Center 4-Way Valves kindly do contact us. Jayant Impex can offer Abrasive Metering Valves, FSV - Flat Sand Valve, GVA - Abrasive Membrane Valve, SGV - Steel Grit Valve, Microvalve - Abrasive Metering Valve, Thompson Valve - Abrasive Metering Valve, AP7 - Abrasive Control Valve. A full selection of abrasives metering valves including Flat Sand Valve, Micro Valve, Steel Grit Valve, Abrasive Membrane Valve, Thompson Valve. A lean air and abrasive mixture will produce faster cutting, reduced abrasive consumption and increased productivity. From Jayant Impex Pvt Ltd, India, Maharashtra, Khopoli, Mumbai client can avail smaller quantities of Abrasive Metering Valves, FSV - Flat Sand Valve, GVA - Abrasive Membrane Valve, SGV - Steel Grit Valve, Microvalve - Abrasive Metering Valve, Thompson Valve - Abrasive Metering Valve, AP7 - Abrasive Control Valve online at premium cost by sending us an email. If any requirements for Abrasive Metering Valves, FSV - Flat Sand Valve, GVA - Abrasive Membrane Valve, SGV - Steel Grit Valve, Microvalve - Abrasive Metering Valve, Thompson Valve - Abrasive Metering Valve, AP7 - Abrasive Control Valve kindly do contact us. Jayant Impex can offer AC Valves, Steel AC Valve, Aluminium AC Valve, Saddle AC Valve, Bore AC Valves. 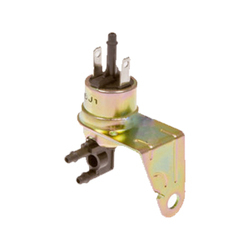 Air conditioning filling valves are primarily used for loading vehicle air conditioning circuits with gas, and during service to purge the circuits before refilling. 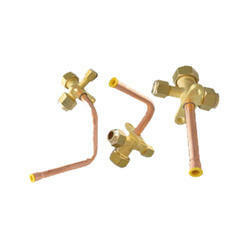 Valves are compatible with a wide range of air conditioning couplers. The product consists of a valve stem, valve core, and plastic cap. Several valve body versions are available, including aluminum, steel, saddle, bore, and banjo. Additionally, several rubber types for the core seals are available, including CR, FPM, EPDM, and HNBR. 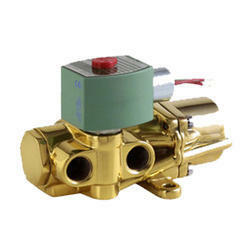 Schrader air conditioning valves are compatible with 134a, 1234yf, and CO2 gases. 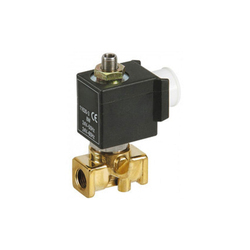 From Jayant Impex Pvt Ltd, India, Maharashtra, Khopoli, Mumbai client can avail smaller quantities of AC Valves, Steel AC Valve, Aluminium AC Valve, Saddle AC Valve, Bore AC Valves online at premium cost by sending us an email. If any requirements for AC Valves, Steel AC Valve, Aluminium AC Valve, Saddle AC Valve, Bore AC Valves kindly do contact us. Jayant Impex can offer Air Conditioners Valve, Steel Air Conditioners Valve, Safety Air Conditioners Valve. Air conditioning valve cores are offered in a variety of sizes to meet the unique OEM requirements for fill time at the assembly plant. We recommend using a standard valve core only on the low-pressure side, and the larger JRA, 8mm, and 10mm cores on the high pressure side. Due to the variety of operating conditions or applications, the customer is responsible to perform their own testing to insure performance, safety and warning requirements for the intended application. From Jayant Impex Pvt Ltd, India, Maharashtra, Khopoli, Mumbai client can avail smaller quantities of Air Conditioners Valve, Steel Air Conditioners Valve, Safety Air Conditioners Valve online at premium cost by sending us an email. If any requirements for Air Conditioners Valve, Steel Air Conditioners Valve, Safety Air Conditioners Valve kindly do contact us. Jayant Impex can offer 5 Port Solenoid Valve, Solenoid Valves, Internal / External Pilot Operated, Air Operated, 5 Port Valves, Port Solenoid Valve, 5 Port Solenoid Valves. Orifice: 6 mm to 50mm thus offering a wide range of flow rates. From Jayant Impex Pvt Ltd, India, Maharashtra, Khopoli, Mumbai client can avail smaller quantities of 5 Port Solenoid Valve, Solenoid Valves, Internal / External Pilot Operated, Air Operated, 5 Port Valves, Port Solenoid Valve, 5 Port Solenoid Valves online at premium cost by sending us an email. If any requirements for 5 Port Solenoid Valve, Solenoid Valves, Internal / External Pilot Operated, Air Operated, 5 Port Valves, Port Solenoid Valve, 5 Port Solenoid Valves kindly do contact us. Looking for Industrial Valves & Valve Fittings ?